Avolution’s global structure allows for full 24-hour support spanning all time-zones and the ability to receive and answer customer queries in real-time. With responsive customer service as our goal, Avolution employs highly qualified support engineers who will quickly respond to queries and pass on feedback to senior staff and our development team. I’ve just filled out a trial request. Where is my key? We aim to get you up and running with ABACUS as quickly as possible. Every day we receive many requests from interested parties all over the world and it is our policy to verify the sender’s identity and areas of interest before sending the license keys to them. This normally happens within 2 hours during business hours and up to 4 hours outside of business hours. We may also request additional information from you if you use a temporary or free email account. If you haven’t received your trial key within 24 hours, please contact us here. Can I have a trial of ABACUS Cloud? Few EA tools provide a purely cloud-based deployment option – that is one which requires zero installations (including browser plug-ins). Those which do rarely offer the alternative – a solution that can be deployed 100% on premise for situations that require the highest levels of security. ABACUS allows for both options as well as many hybrid deployments such as the repository on premise but the application(s) in the cloud. If you would like to trial ABACUS in the cloud please contact us here. Where is ABACUS hosted? Is my data safe and backed up? Our servers are securely located in state of the art facilities managed by our technology partners, the world’s leading cloud platform providers. Our data centers span the globe with sites in London, Virginia, California, Ireland, Frankfurt, Sydney, Singapore and Tokyo. All ABACUS data is encrypted in transit and at rest, using AES-256 encryption and industry-standard SHA-256 encryption for all passwords. Backups occur every 24 hours and in the case of a catastrophic system failure, we can restore a new working system in a matter of hours. I already have an Enterprise Architecture tool or database. How do I migrate my data? ABACUS supports architects with a very broad range of styles and approaches to get started quickly and achieve their business and technical goals. We provide a range of adaptors and integrations; these allow users to import or map to company data from SharePoint, Google Sheets, Excel, Visio and CMDBs. 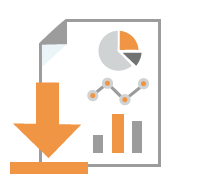 Adapters are also available to leverage current data from ServiceNow and Technopedia to ensure models are accurate and up-to-date and we also have plugins to migrate from other EA tools. I’d like to learn more about ABACUS. Is training available? ABACUS is designed to allow your team to produce meaningful architecture results in days and weeks rather than months and years. Our training options can provide users with both full implementation of the ABACUS tool suite as well as comprehensive training in techniques to accelerate your enterprise architecture practice. Working with your own live data during implementation programs means you can achieve results quickly and ensure a successful deployment. Certification in ABACUS is also available. Where can I learn about the latest features in ABACUS? We’re constantly working on ABACUS and new features and patches are available every evening as we roll out nightly builds. Our roadmap includes two major releases each year and minor dot point releases occur frequently. If you’d like to request a feature or you have found a bug please contact us. For a complete overview an in-depth look, we’d recommend getting in touch for a demonstration or looking at some of the resources below. Want to learn about ABACUS? Everything from basics, to advanced features to best practices, is covered right here in our ABACUS Academy and Forums. Looking for more answers? Let’s talk. Our support teams are available 24 hours a day 7 days a week via email and between business hours of our support centers. Just click the button below and we’ll be in touch. If you have a question that you feel can’t be resolved online, or would like a free one-on-one demo, book a time to talk with one of us. Need to contact your local office or want to speak with a partner near you? For everything else, try the links below.